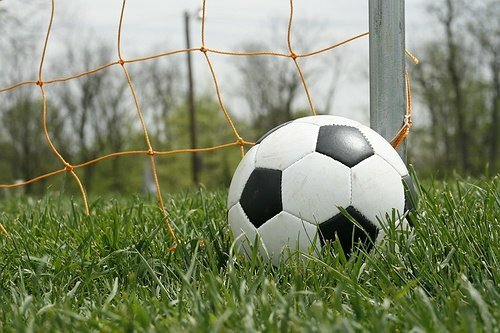 Mangano Announces 5th Annual "Nassau County Executive Cup--College Showcase"
Photo by: Annette Crimmins, via Free Images. Nassau County, NY - May 14, 2015 - Nassau County Executive Edward P. Mangano announced today that on Saturday, July 18th, 2015 Nassau will be hosting the County’s top high school and adult soccer players to participate in the 5th Annual Nassau County Executive Cup, which will be held at Cantiague Park. This day is essentially a showcase of the stars. 60 Nassau County High School athletes will be competing in the College Showcase Event. These 60 athletes will have endured 4 rigorous tryouts that attracted 274 athletes, to be named one of Nassau County Executive Cup participants. “Due to soccer’s close relationship with our beloved Nassau County, I am proud to announce that we will be holding the 5th annual Executive Cup Showcase on Saturday, July 18th, displaying the absolute best soccer talent in Nassau County!” said Mangano. The 5th Annual Nassau County Executive Cup is organized and executed by andGO Sports, university placement specialists for student-athletes. For more information, click here. We ask for your support and assistance in making this event a success today and in future years to come. Cantiague Park hosts a variety of local high school and collegiate athletic events, as well as local sports leagues annually. The facility includes two turf fields that can be used for various purposes, such as soccer, lacrosse, and football. Subject: LongIsland.com - Your Name sent you Article details of "Mangano Announces 5th Annual "Nassau County Executive Cup--College Showcase""